2009 was a big year for the World's Largest Catsup Bottle. Its 60th birthday was celebrated at the annual festival held in July. The attendance was fantastic! Click here to check out the photo gallery. 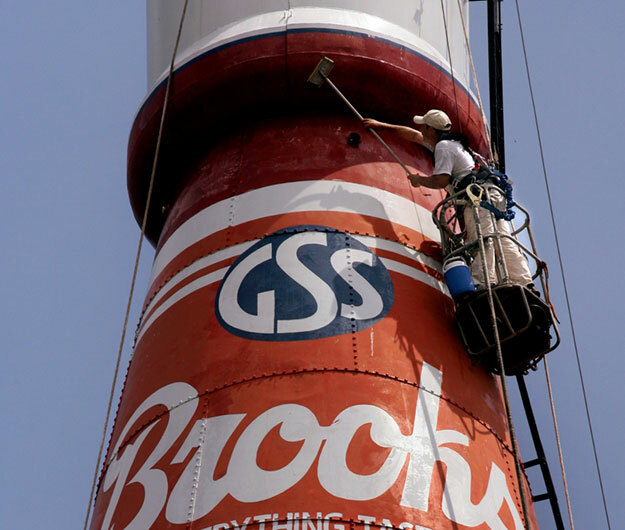 Also in 2009, the Catsup Bottle was cleaned up and repainted. Many, many thanks go out to Bethel-Eckert Enterprises and Reinneck Industrial Coatings for getting the job done! Click here to check out the photo gallery. Go KAHOKS! 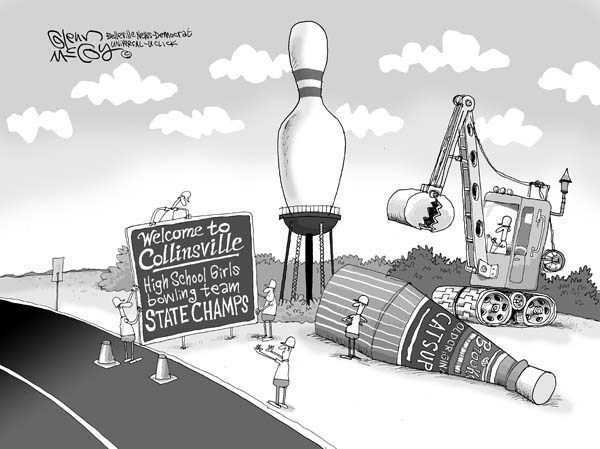 The Collinsville High School girls bowling team won the Illinois state championship! It's the first girls championship in Collinsville history. Team member Frannie Steiner finished as the highest-scoring bowler in the state, and the team bowled the highest number of pins in state championship history. Despite a chilly rain, we welcomed to the Catsup Bottle an enthusiastic group from Northern Illinois University. Jo Burke of the NIU Art Museum put together a "St. Louis Overnight Pop Culture Extravaganza" tour that included a stop here in Collinsville. It was a brief visit, but a lot of fun. Thanks a bunch to NIU! Click here to see the photos! This evening we received a visit from Sacramento, California-based, Waterline Entertainment. 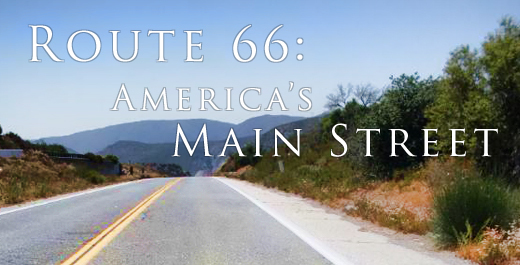 This small yet very productive production company is putting together a feature-length documentary titled Route 66: America's Main Street. The two Mikes (Gassmann and Prosser), along with Katie Gassmann and Derrick Wilde, had a great time discussing Route 66, classic cars, and the Catsup Bottle with producer/director Anthony "Grimace" Boyer and videographer Drew McCamley. The real star of the show though...? Prosser's sweeeet 1920s street rod!! Check out the photos here! Today we did a quick little phone interview with Stephene Russell, the Culture/Calendar editor of St. Louis Magazine. 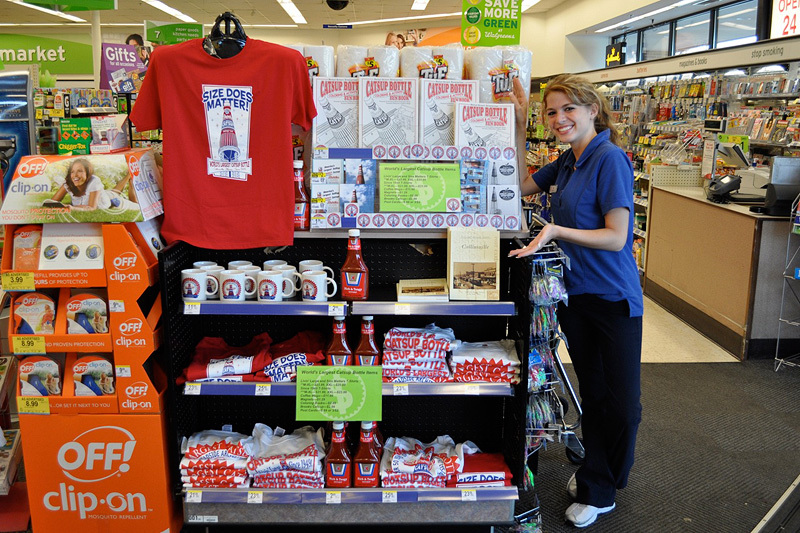 The annual Catsup Bottle Festival is always listing in the calendar section for the summer, but this time it will be the featured lead event for the section and include a photograph. Look for it on newstands in late June! This is INSANELY cool. We learned today that TIME magazine has named the World's Largest Catsup Bottle Festival as one of its "Top 10 Quirky Local Festivals"...!!! Unbelievable! Here's a quick shout out to Elizabeth Donald and the Belleville News-Democrat for running a really fun piece about TIME magazine naming the Catsup Bottle Fest as a "Quirky Top 10." Thanks a bunch! A quick couple of news items to report today. 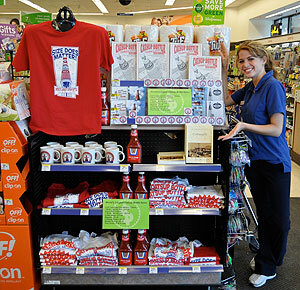 ST. Louis' alternative weekly newspaper, The Riverfront Times, included the Catsup Bottle Festival in its article of "Things You Just Don't Want To Miss This Summer." And, the "who's who movers and shakers" Business section of the Collinsville Suburban Journal and the Belleville News-Democrat included a mention of Stephanie McGovern being named as the coordinator for the GCS Credit Union Little Princess Tomato and Sir Catsup Pageant. Thanks go out to the Collinsville Suburban Journal for a quick mention in the Business section (click here) regarding TIME magazine naming the Catsup Bottle Fest as a "Quirky Top 10." Thanks! The Doomsday Clock has clicked one notch closer to midnight! The Riverfront Times has reported on a threatening cocktail sauce disaster!! Duck and cover and click here to get the all important details! The annual motor tour for the Route 66 Association of Illinois visited the World's Largest Catsup Bottle and it was a big success! It was fun seeing friends you see once a year! We even had an appearance from Trinity Pfalzgraf, 2009 Linda Princess Tomato, and the 1929 Kahok Purple Hot Rod! Click here for the photo gallery. 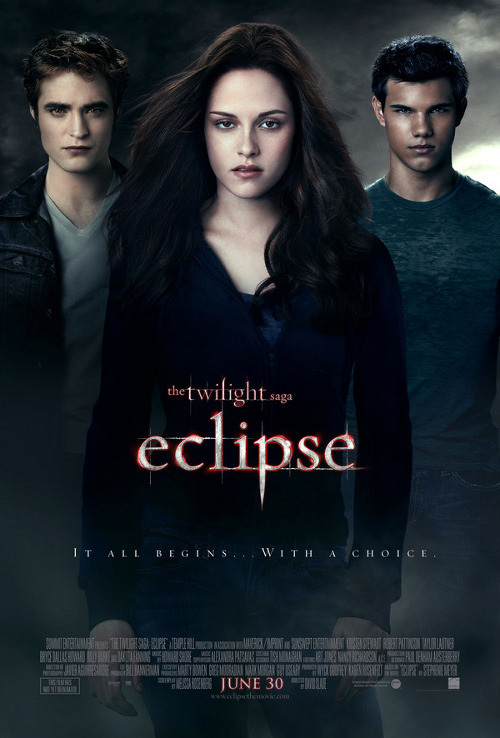 As the diehard fans of the Twilight saga movie series know, the premier of "Eclipse" took place at 12:01 this morning. We were fully aware of that fact as there are more than a couple Twilight fangirls here at Catsup Bottle Central Command Headquarters. What we were NOT aware of until 12:26 this morning, was that the World's Largest Catsup Bottle is mentioned about 20 minutes into the film! Amazing. The entire theater went nuts! That's a surprise of Biblical proportions! Once again we have to say... "Ya just never know!" Keep pourin' it on people: Click here to read the Elizabeth Donald's "Culture Geek" blog concerning this incident. Click here to read the article that appeared in the Belleville News-Democrat the next morning on July 1. The 12th annual World's Largest Catsup Bottle Birthday Party & Car Show was a huge success. Bigger and better than ever! We're going to take a few days off to catch our breath, relax a little, and get reorganized. We'll try to get photo galleries and more information updated at www.catsupbottlefestival.com soon! The Madison County Suburban Journal (Collinsville Herald) started a weekly feature to profile an interesting person each week for 13 weeks. Each profile consisted of 13 questions. Last week was Ann Callis, chief judge of the 3rd Circuit Court. 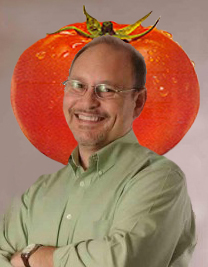 This week... the Big Tomato from Catsup Bottle HQ?!?! ... yes sir. Pretty funny questions and answers can be found by clicking right here. Our best buddy and artist extraordinaire, Erika Nelson, appeared on "Conan" with part of her World's Largest Collection of the World's Smallest Versions of the World's Largest Things. Right off the bat, very first thing, she talks about the Catsup Bottle. Oh, yeah. Enjoy.